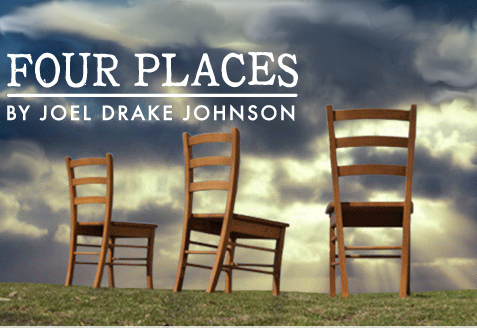 Joel Drake Johnson's new family drama "Four Places" will receive its East Coast Premiere at Merrimack Repertory Theatre from October 14 – November 7. Charles Towers will direct. Called "funny and heart-wrenching," "Four Places" looks at a lunch time conversation between two middle-aged siblings and their mother which turns from routine banter to life-changing revelation. They lead one another to a place where forgiveness and understanding are tested, but love is still possible. The cast of features Carole Monferdini, Kate Udall, John Wojda and Laura Latreille. Kate Udall and John Wojda return to Merrimack Rep after previously appearing in "A Moon of the Misbegotten" and "The Pursuit of Happiness," respectively. Carole Monferdini, who has appeared on Broadway in "The Misanthrope" and "Waltz of the Toreadors," and Elliot Norton Award-winner Laura Latreille, who has recently appeared at Huntington Theatre and Wellfleet Harbor Actors Theatre, will make their MRT debuts. Joel Drake Johnson is one of the newest members of Chicago's Victory Gardens Theater Playwrights Ensemble. The critically acclaimed, Jeff Award-nominated "Four Places" was produced by Victory Gardens in the spring of 2008. His earlier works at Victory Gardens Theater, "Before My Eyes" and "The End of the Tour," were also Jeff-nominated for Best New Play. All three plays were directed by Sandy Shinner, Victory Gardens' Associate Artistic Director. "Four Places" was subsequently produced in Los Angeles by The Rogue Machine Theatre where, under the direction of Robin Larsen, it garnered more critical acclaim. Pay What You Can Night -- October 14 at 7:30 p.m. Patrons may purchase tickets in cash at the Box Office between 4:30 - 7:30 p.m and name their ticket price. Following the performance, there will also be a Director’s Dialogue, where the director and designers field audience questions and describe how the play was staged. Lowell Night -- October 16 at 8p.m. Lowell residents may purchase tickets for $10 at the box office from 5 - 8 p.m. Proper ID is required. Opening Night -- October 17 at 7 p.m.
Cookie Matinee -- October 20 at 2 p.m. Patrons enjoy complimentary cookies and coffee in the lobby before the show, courtesy of Brew’d Awakening Coffeehaus. Post Show Forums -- October 21, 28 and November 4 at 7:30 p.m. Audiences can stay after the performance to learn the inside scoop and chat with the actors. For tickets and information, stop by the box office at Liberty Hall, 50 E. Merrimack Street in Lowell, call 978-654-4678 or visit www.MerrimackRep.org.